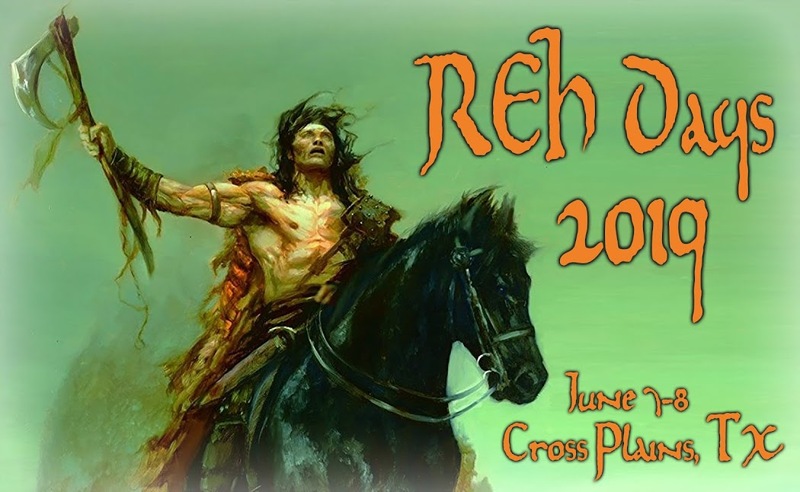 Robert E. Howard Days: Six Weeks until Howard Days! With six weeks to go until Howard Days happens (!) we'd like to ask for your help. Project Pride is the Cross Plains civic organization that does all the work in setting up The Best Two Days in Howard Fandom and they are strictly an all-volunteer group of folks! Consequently, funds are always tight and the maintenance of the Robert E. Howard Museum is an ongoing project for them. One of their biggest fund-raisers is the Silent Auction held at the Friday night Banquet at Howard Days. 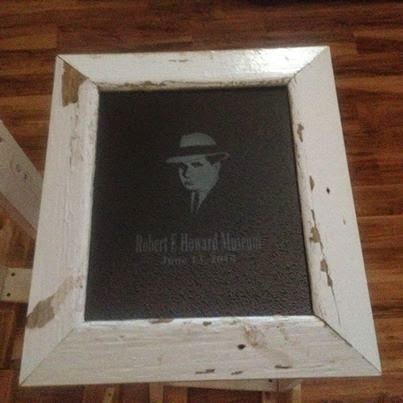 All types of REH items are offered on-site at this auction: books, comics, magazines and fanzines, t-shirts, metal, glass and wood 3-d art (see the photo), original artwork and many other items directly related to Ol' Two-Gun Bob Howard. Project Pride relies on the donations of the many generous fans of REH to help with this auction, so we're asking that you please check over your "Howard stuff" and send along any duplicates or any REH item that you know would help Project Pride further the Legacy of Robert E. Howard. You can mail your items to: Project Pride, POB 534, Cross Plains, Texas 76443. And, of course, it's still not too late to make plans to come to Cross Plains and enjoy the fellowship of Howard fans from (literally) all over the world. We've got great guests and panels and many activities that can make being a fan of REH even more enjoyable. (Check the schedule in a previous post here or at www.rehupa.com).